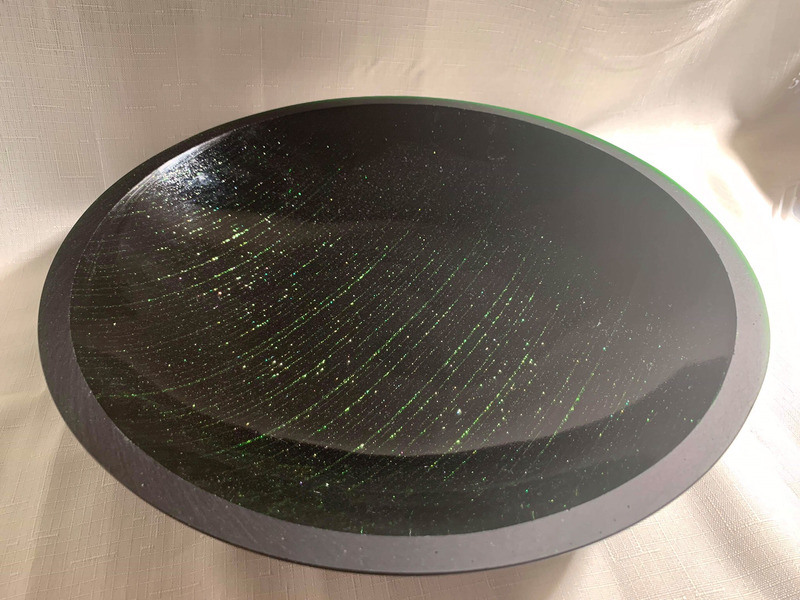 This lovely strip construction bowl is about 15” in diameter and is made with adventurine green Bullseye glass. The glass has copper flecks in it which causes the bowl to sparkle in the light. The rim of this bowl has been coldworked to give it the flat lip appearance you see here. This decorative piece will make a wonderful addition to your home and be admired by all who see it. This item is not microwavable and should not be put in a dishwasher or oven.